EVERY NIGHT'S A GOOD NIGHT SLEEP. 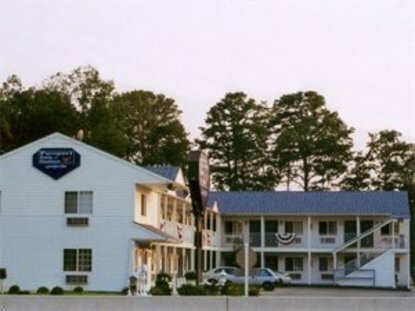 Newly Built Star Performance Award Passport Inn and Suites is ideally located for business and vacation travelers. Located on busy Route 30 East Bond, we are within walking distance of. DENNY'S Restaurant, open 24 hours. Amenities include FREE WIRELESS INTERNET ACCESS & daily newspaper, 27 TV with GAME CONSOLE, HBO & Over 70 Cable Channels, MINI FRIDGE, MICROWAVE, Hairdryer. On site Guest laundry, fax, copy service. Fantastic Large Jacuzzi rooms for honeymooners and couples on relaxing getaways. We are minutes away from Atlantic City's World Famous Always Turned On Luxurious non-stop 24 hrs. Casinos, Beautiful Beaches, Boardwalk, Excellent Shopping in Quality Retail Outlets on THE WALK, Charter Boat Fishing, Sailing Charters, Gondola Rides, Kayaking/Canoeing, High Voltage Nightclubs, Local Wineries, Amusement Pier & Arcades, Championship Golf Courses, Boardwalk Convention Hall, Atlantic City International Airport & Medical Center, FAA Technical Center, Ocean City, Wildwood & Cape May. Come stay for a great vacation and a good nights rest.